Moringa 5000mg. provides 5000 mg of premium Moringa leaves. Convenient, easy-to-swallow capsule dosage form. Contains 60 vegetarian capsules. Moringa 5000mg is rated 4.1 out of 5 by 8. Rated 5 out of 5 by Anonymous from As always, Excellent product! Extremely satisfied with this product. Rated 5 out of 5 by Fulfillingmydream from Amazing product. I'm very happy using this product. Amazing product. I'm very happy using this product. Rated 5 out of 5 by Nettie48 from Very pleased with Moringa. I'm satisfied with my Moringa. I've noticed an improvement in my overall health. Thanks, Vitamin World. Rated 5 out of 5 by Nettie48 from This is an excellent product!!! I love it!!! 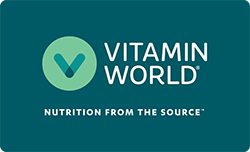 I am totally satisfied with this product and will continue to order it from Vitamin World. thank you. Rated 3 out of 5 by Joche from Super Moringa It don't make you feel any different. Don't know if in the long run it 'll make a difference. Rated 4 out of 5 by boxingfan from Excellent super food I have read a lot of good things about Moringa. The supplement from Vitamin World is an excellent choice. Rated 5 out of 5 by megaviper from Very complete product...excellent A++++ Will recommend at any time and the 5000mg option is awesome!! !